According to reports, the shoot of Thalapathy Vijay and Keerthy Suresh starrer 'Sarkar' has also been halted in USA's Las Vegas. 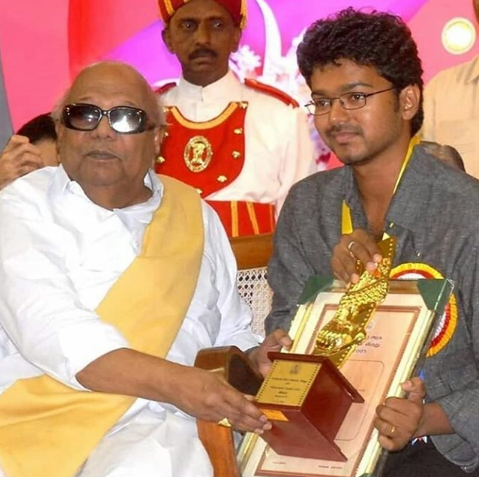 Dravida Munnetra Kazhagam (DMK) chief M Karunanidhi’s, 94, sad demise has left everyone in a state of shock. A huge crowd of late DMK leader’s followers have gathered at Chennai’s Rajaji Hall. They are seen raising slogans of ‘Long Live Kalaignar’ and ‘Need Marina! Need Marina!’ Finally, Madras HC allows Karunanidhi’s burial at Marina beach. As soon as the news broke out, Karunanidhi supporters outside the Rajaji Hall welcomed the Madras High Court order, allowing the late leader to be buried at Marina Beach, next to his mentor Annadurai. Yesterday, as soon as the news broke out about the sad demise of the great leader, in a press release, Tamil Film Producers Council president Vishal Krishna said all programmes, including film shooting, audio releases and film shows across Tamil Nadu have been cancelled.